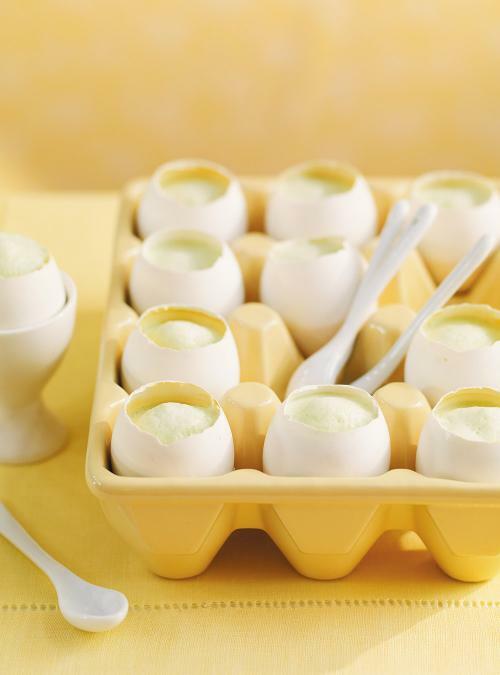 Using an egg cutter or egg scissors, cut the tops off the eggs. Set aside the contents of 2 eggs for the recipe and save the remaining eggs for another use (omelet, quiche, etc.). Rinse the shells and place them, cut side up, in the egg carton. Set aside. With the rack in the middle position, preheat the oven to 170°C (325°F). In a saucepan over medium heat, brown the onion, garlic and mushrooms in the butter. Season with salt and pepper. Add the milk and bring to a boil. Reduce the heat and simmer gently for about 5 minutes. Transfer to a blender and purée. Add the 2 reserved eggs and blend. Adjust the seasoning. Divide the mixture among the eggshells. Place the egg carton in a baking dish. Add hot water to reach halfway up the sides of the eggshells. Bake until the custard has just set, 25 to 30 minutes. In a saucepan, bring the milk and parsley to a boil. Transfer to a blender and purée. Strain. Using a milk frother or stick blender, froth the milk. 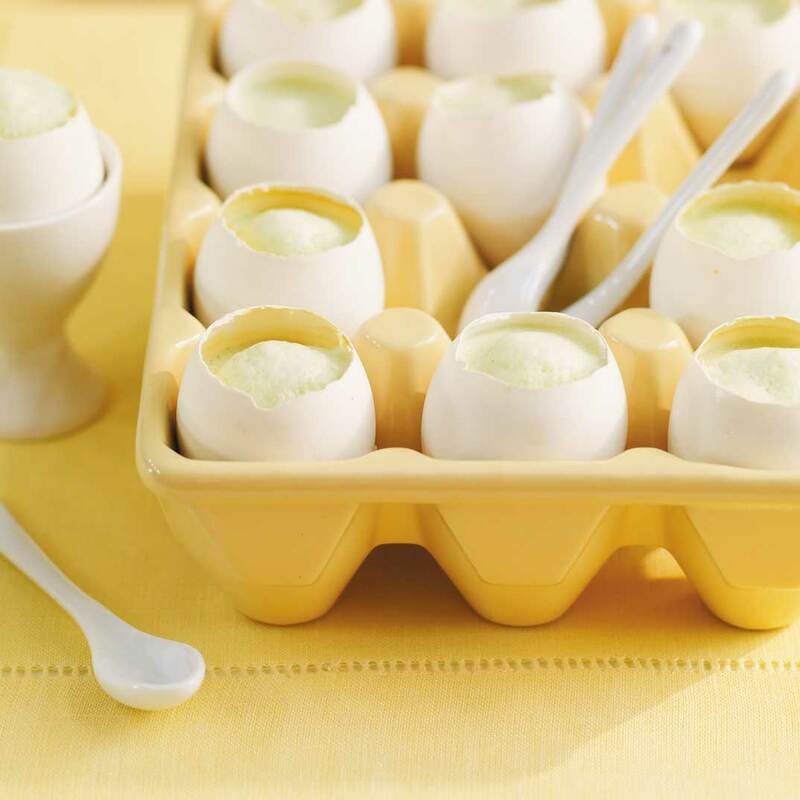 Place the eggs in egg cups or sections of egg carton. 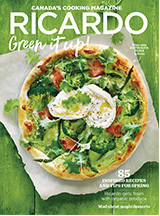 Garnish with milk and parsley foam and serve immediately. Which Side of the Aluminum Foil?